No9 Jack at Wicksteed Park in 2011. The lake on left and the The Area on the righthand side. 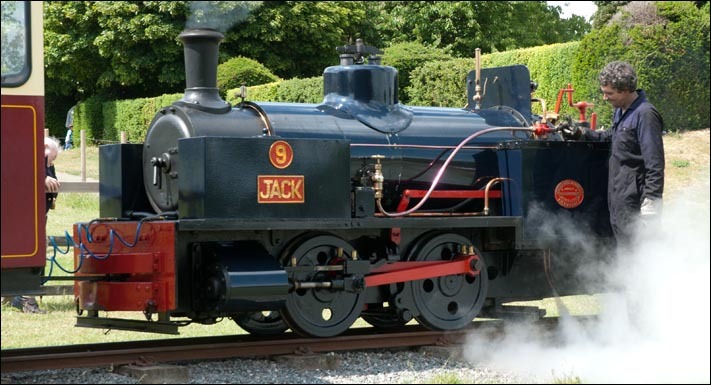 Jack is a 2ft gauge Andrew Barclay 0-4-0 steam locomotive. Wicksteed Park is at Kettering in Northamptonshire. Each year for the last few years it had a weekend using 2ft gauge narrow gauge steam engines bought in from various places onto its railway that runs around the park. This event in 2011 was called "Steam in the Park." This page is on the Saturday of that event in 2011. You can view this video in the full sreen. Use the button on right of the video. To return from full screen press the same button. 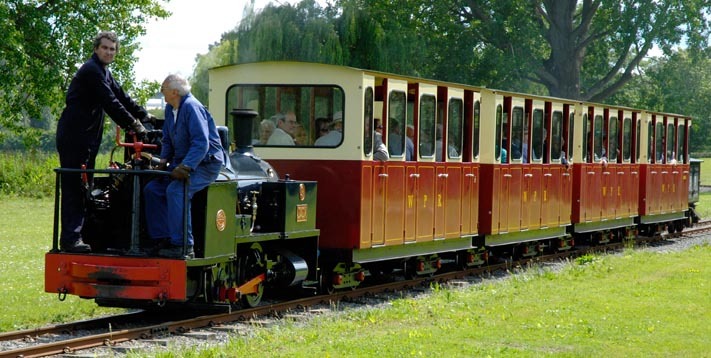 This part of the web site has pages of photos taken on the Wicksteed park railway.